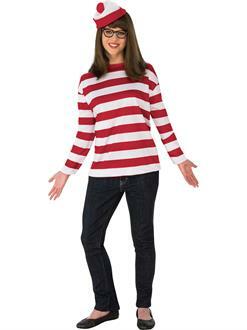 Become one of literature’s MOST sought after characters with the Where’s Waldo Curvy Wenda Costume. Make an impression with the red and white striped sweater. The matching hat and black-rimmed glasses complete the ensemble. Perfect for Halloween or cosplay. Shop officially licensed Where’s Waldo women’s plus-size costumes and accessories online now.